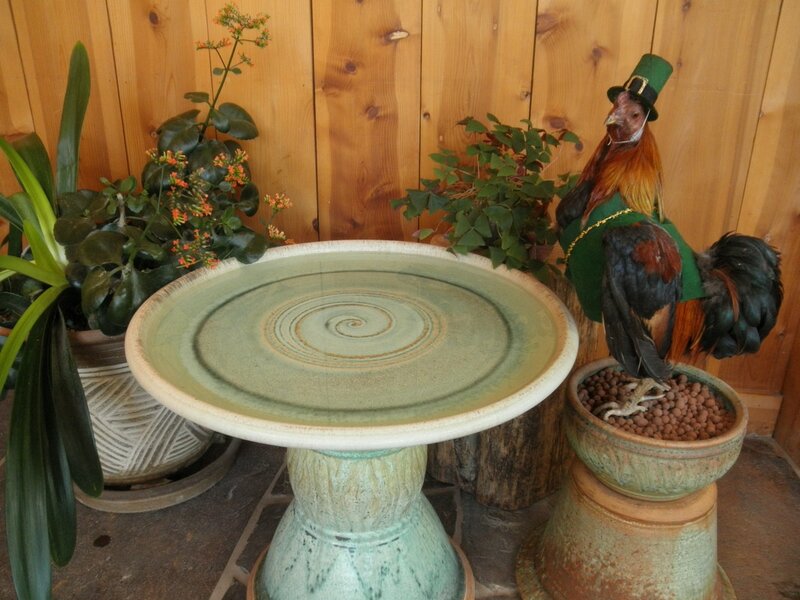 Welcome your feathered friends with a ​Dirty Bird Bird Bath in your garden! 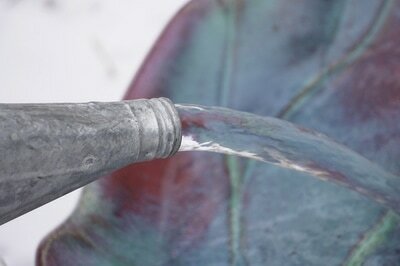 The one thing that will attract more wild birds to your garden than seeds is water. 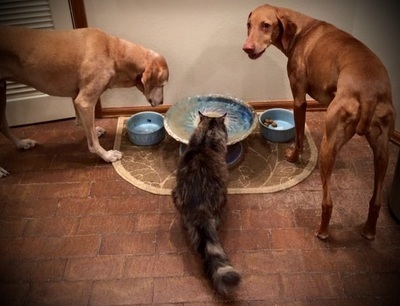 Plain and simple. Elemental. 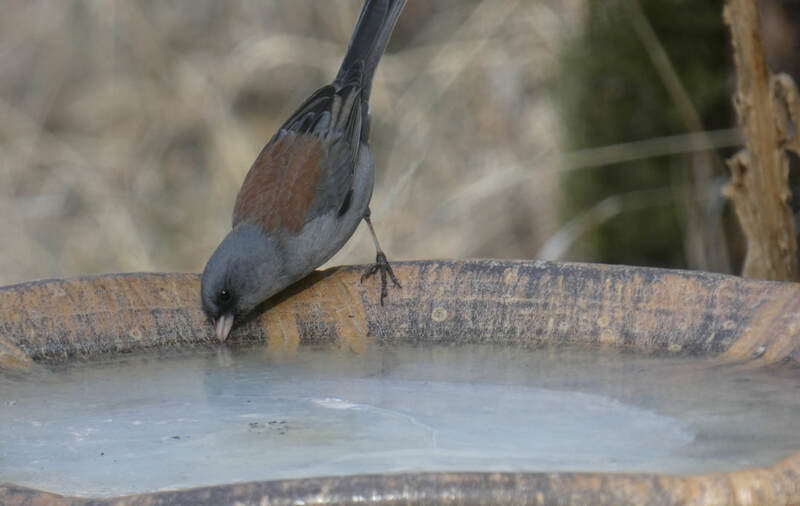 Not only are birds thirsty, but they require bathing to keep their feathers clean and healthy, not just for looks, but for insulation and ease of flight. 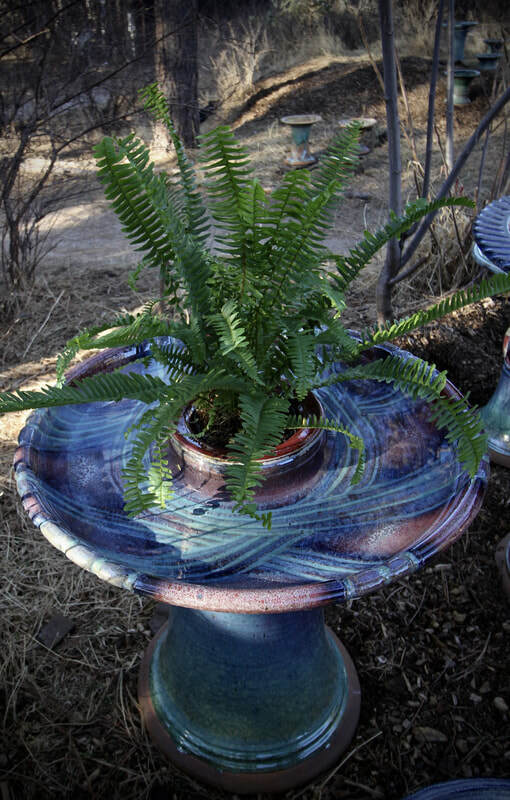 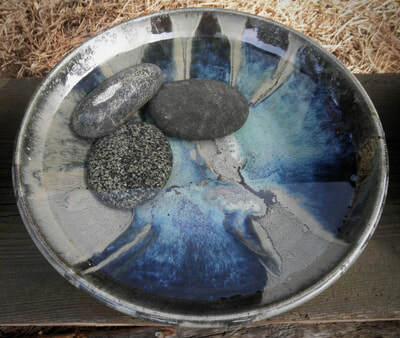 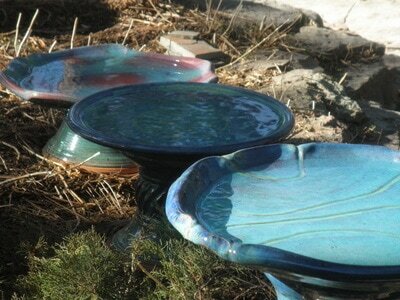 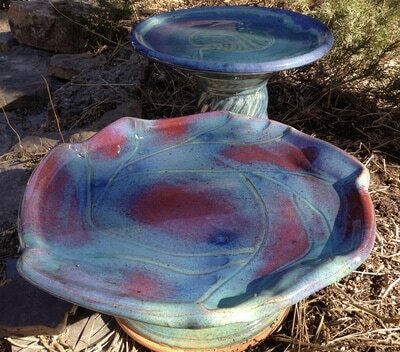 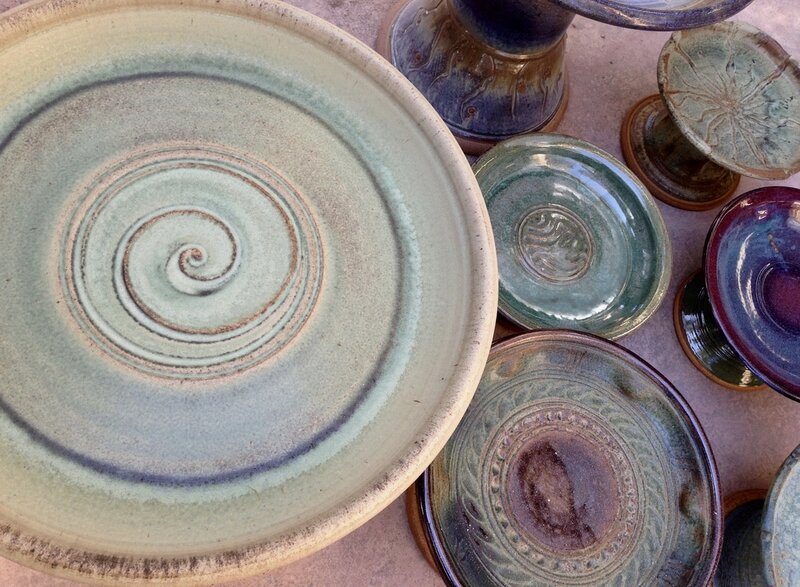 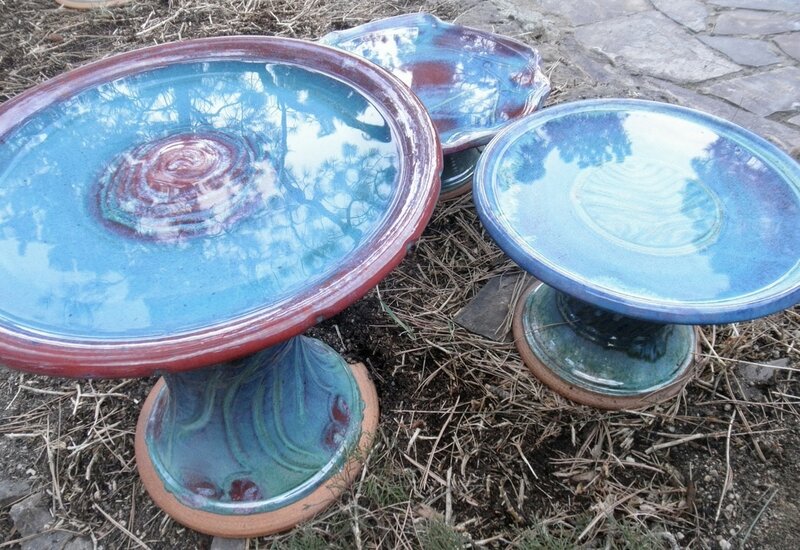 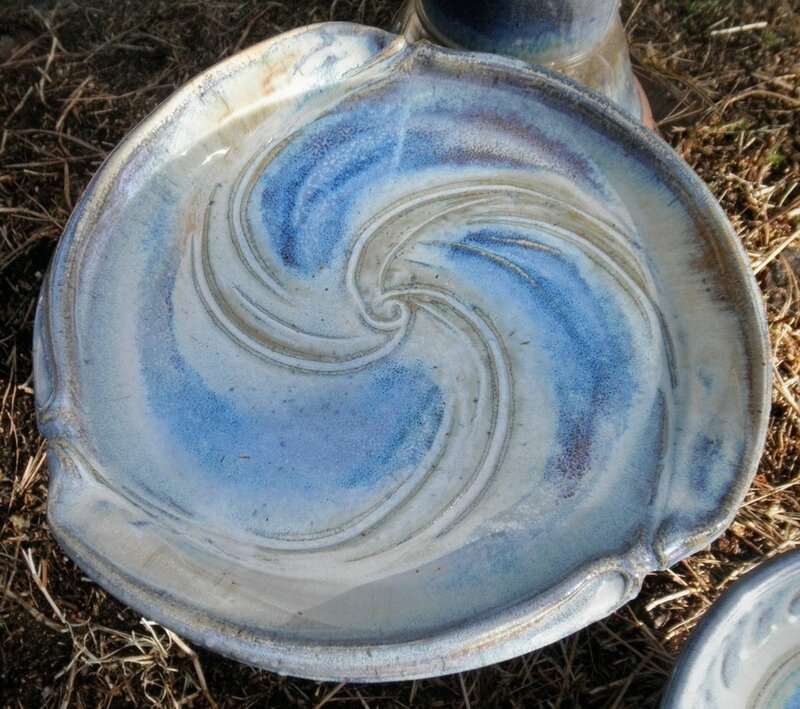 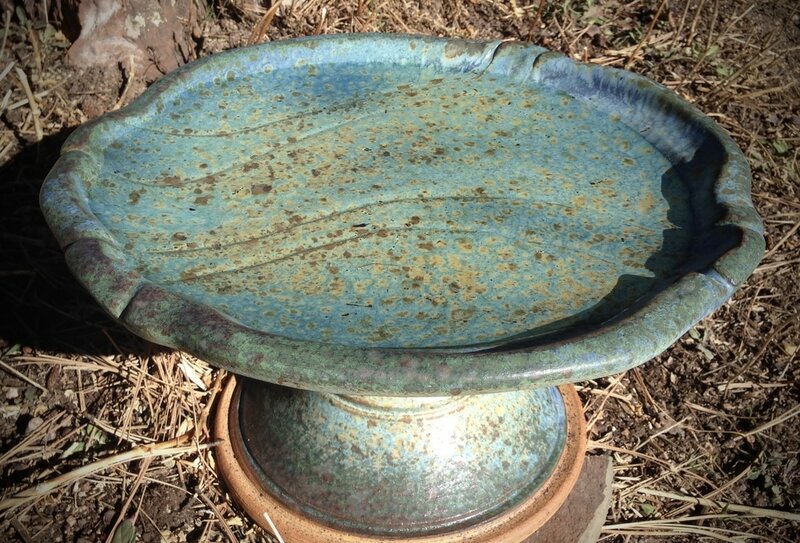 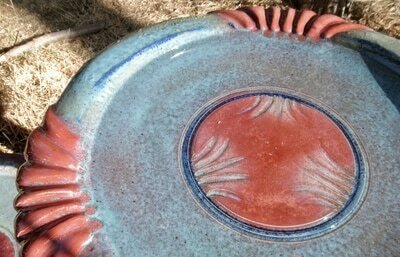 ​ Bowen Pottery's Dirty Bird Bird Baths satisfy your feathered friends year-round. 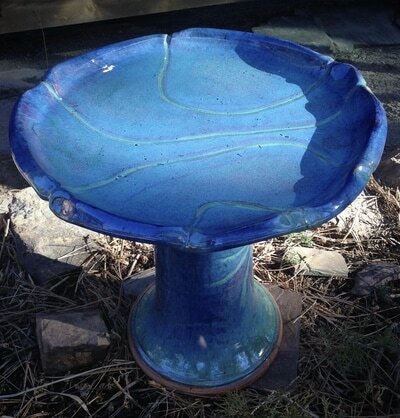 Become the most popular destination for wild birds (and various other thirsty creatures) with a Dirty Bird Bird Bath from Bowen Pottery! 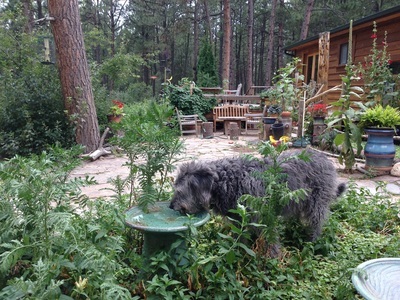 ​Randy and Shannon Bowen have been keeping birds happy in Black Forest, Colorado for decades. 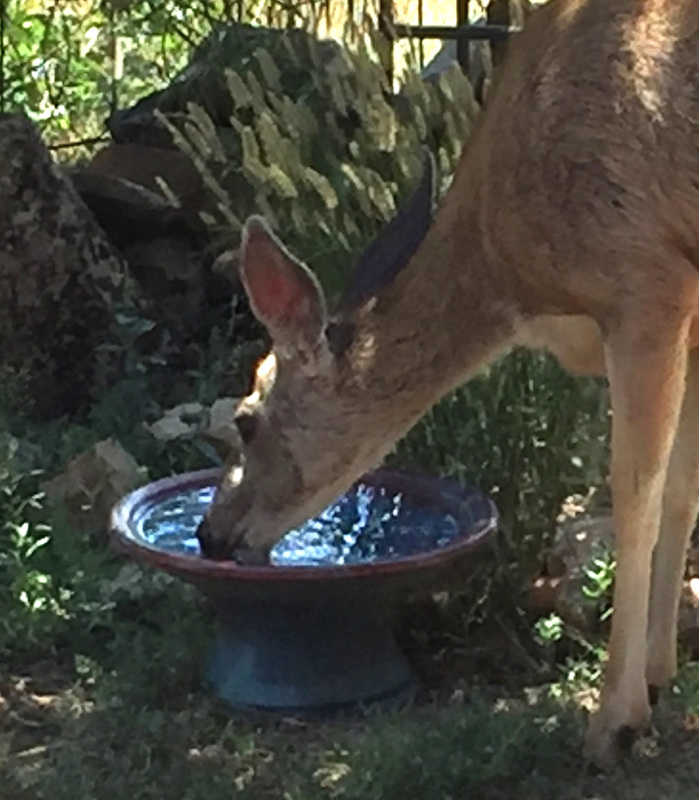 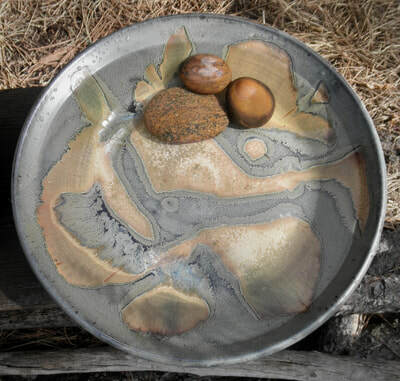 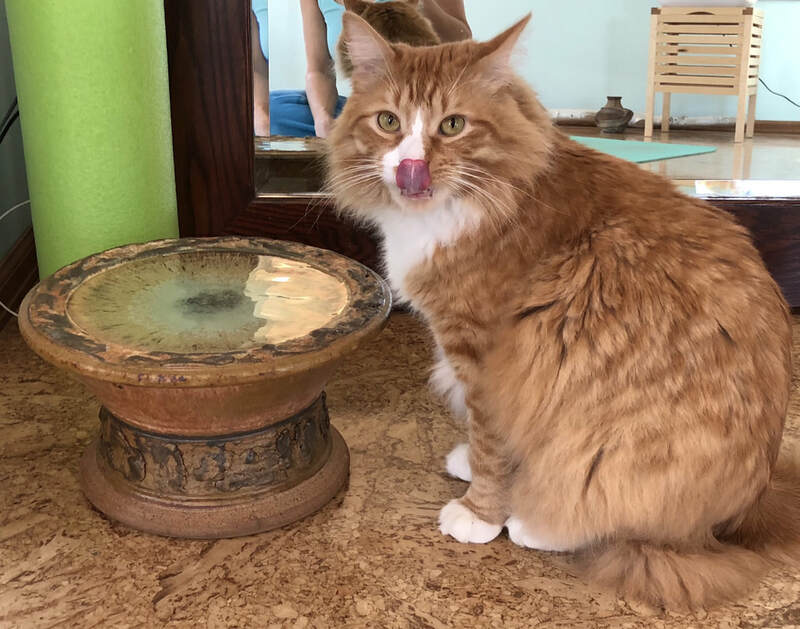 Feathered residents of the forest north of Colorado Springs, are raving about the healing benefits of bathing in handmade Dirty Bird Bird Baths! 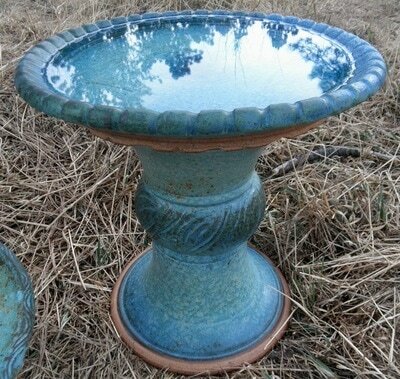 From tiny deck accessory to big, elegant garden centerpiece, a Dirty Bird Bird Bath enhances the daily aesthetic for both bird and human. 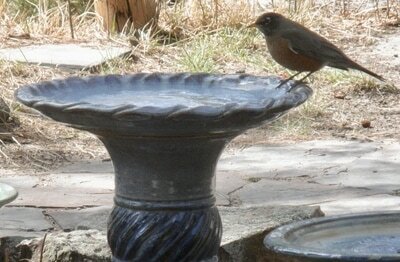 A bird bath is a popular destination for all. 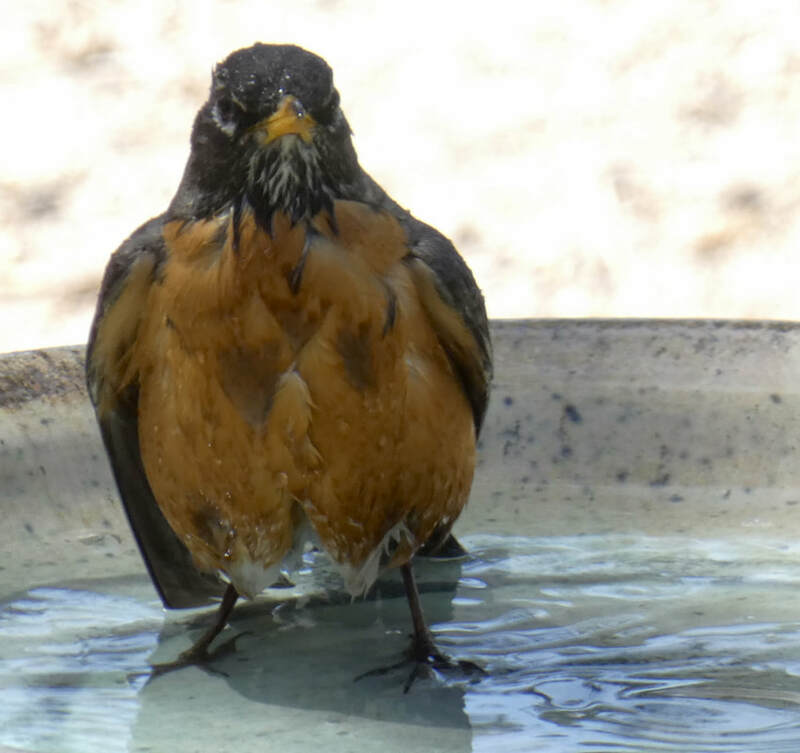 Birds will need a trip to the spa after their long spring migration. Treat them to something special with a Dirty Bird Bird Bath! 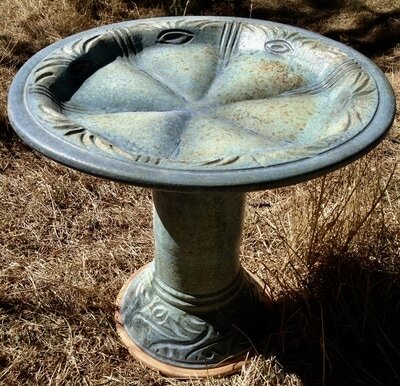 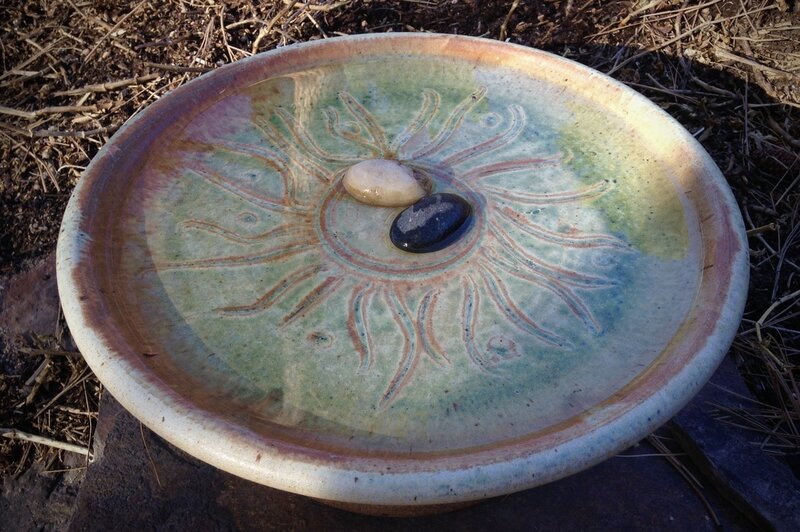 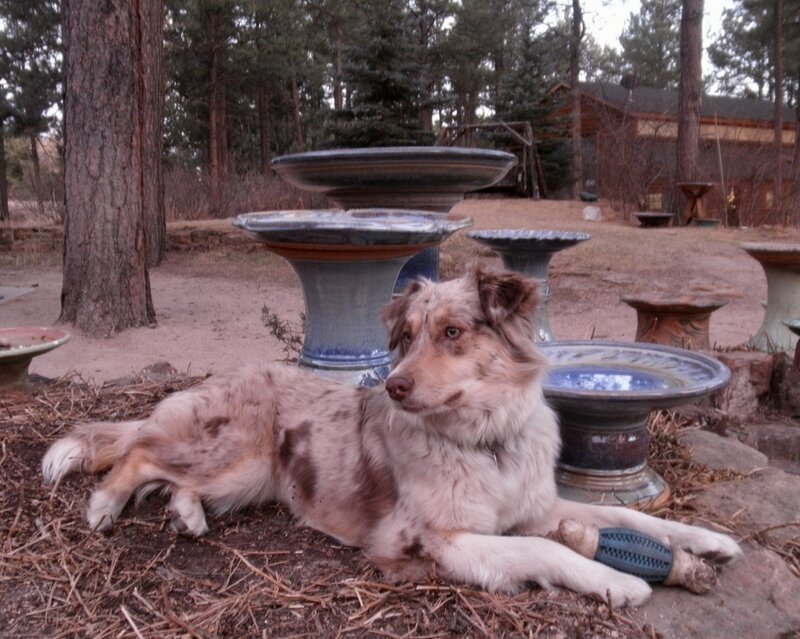 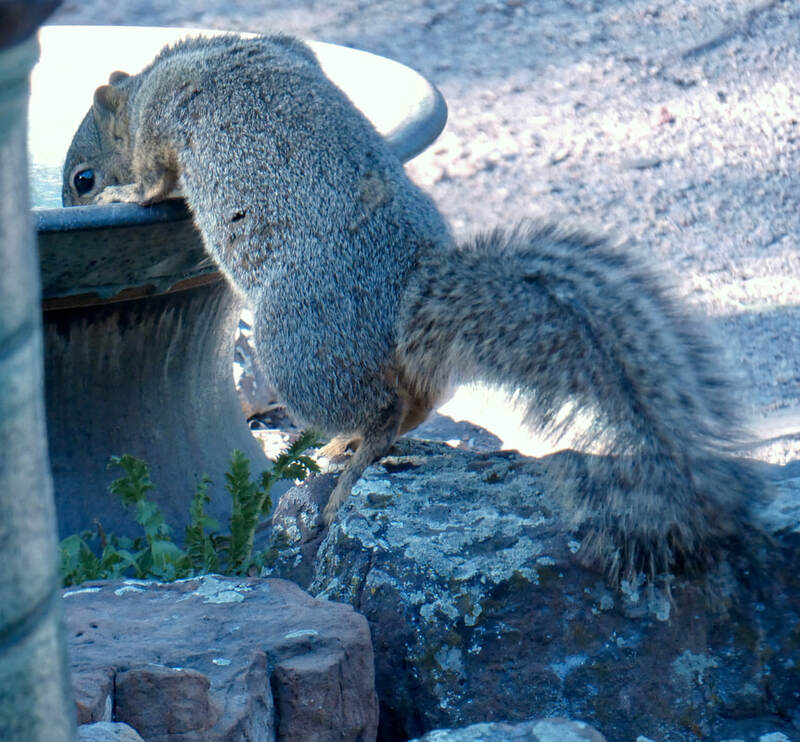 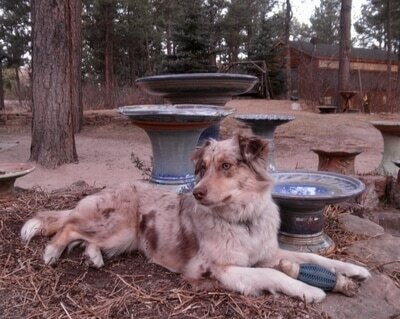 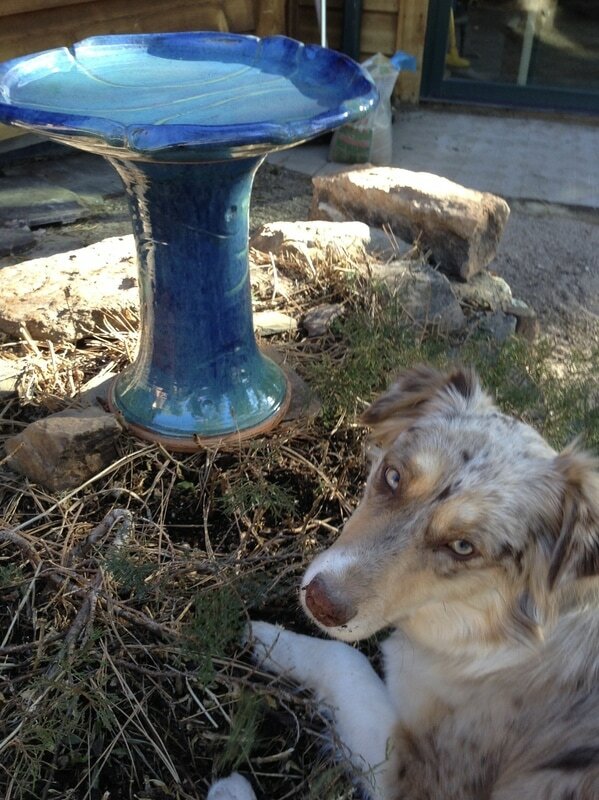 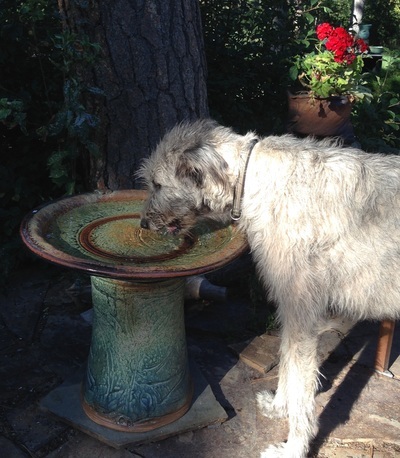 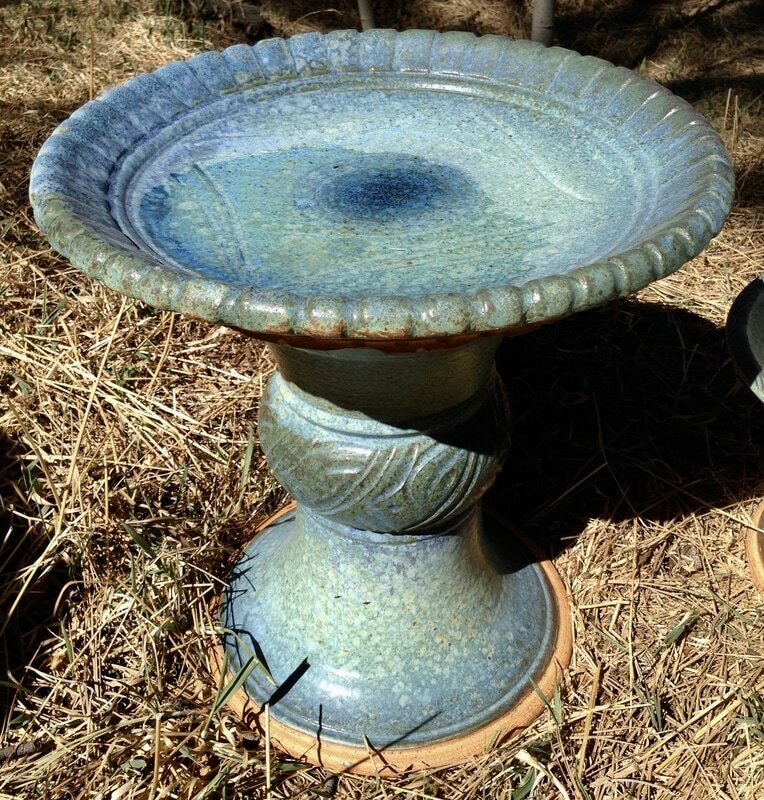 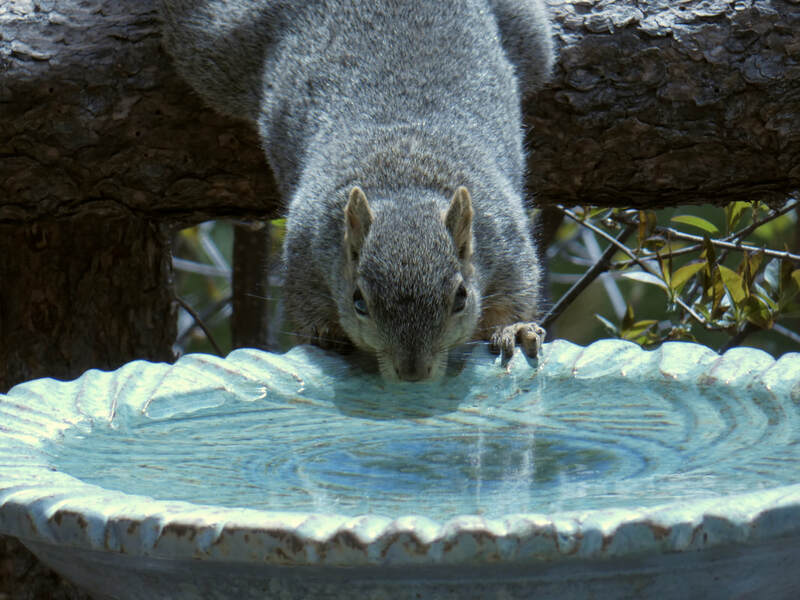 Our bird baths feature both bird-friendly ergonomic design, and human-friendly clean-ability. 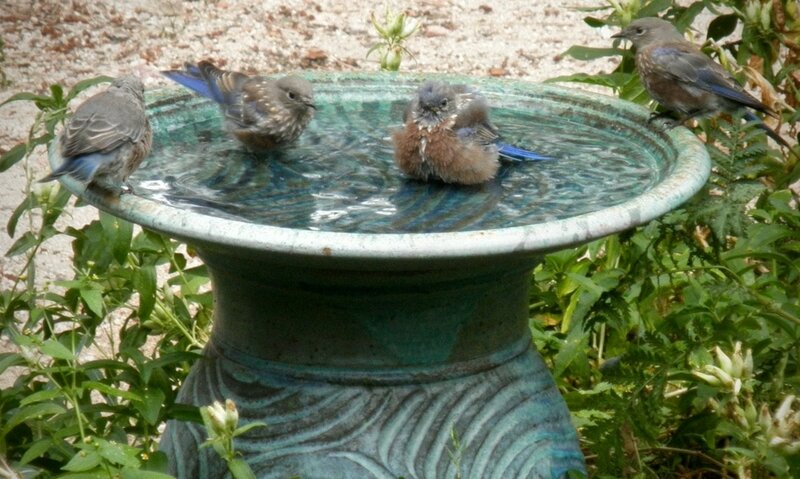 Birds, like you, would hesitate to bathe in funky, murky water. 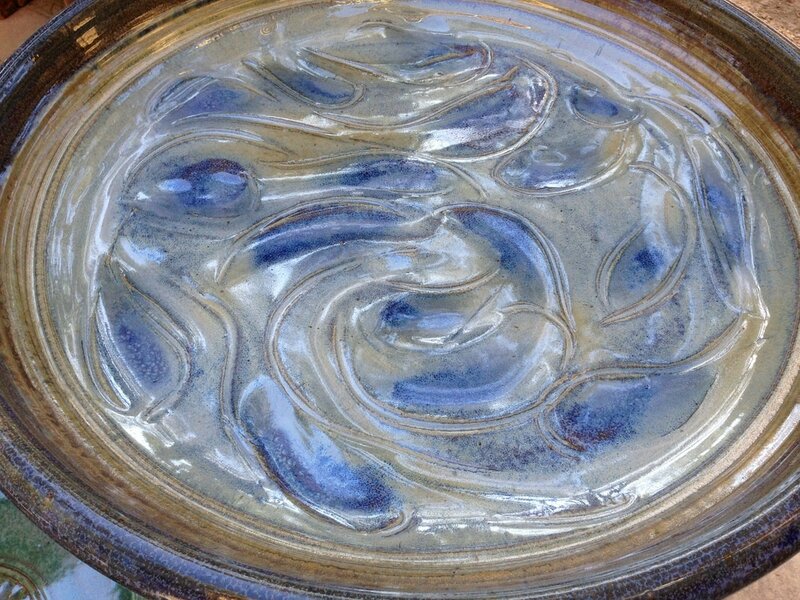 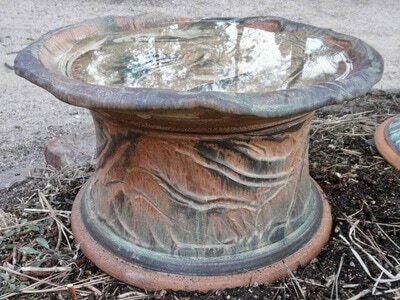 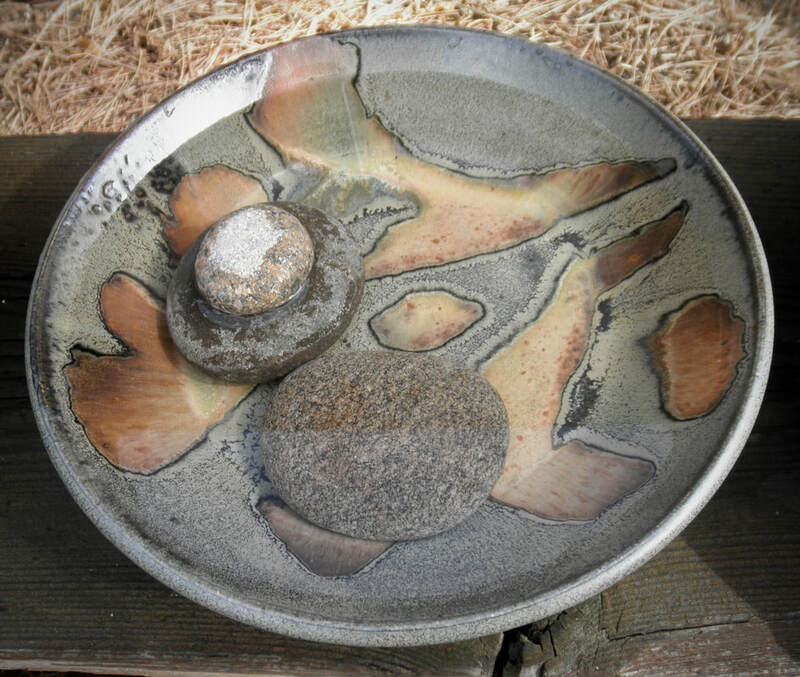 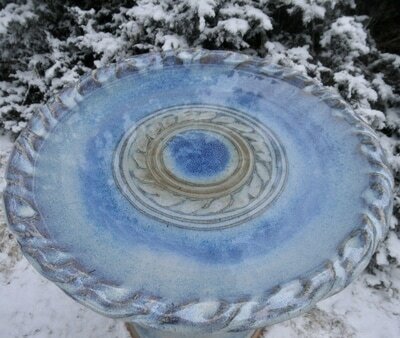 Our bird baths are very durable and scrubbable. 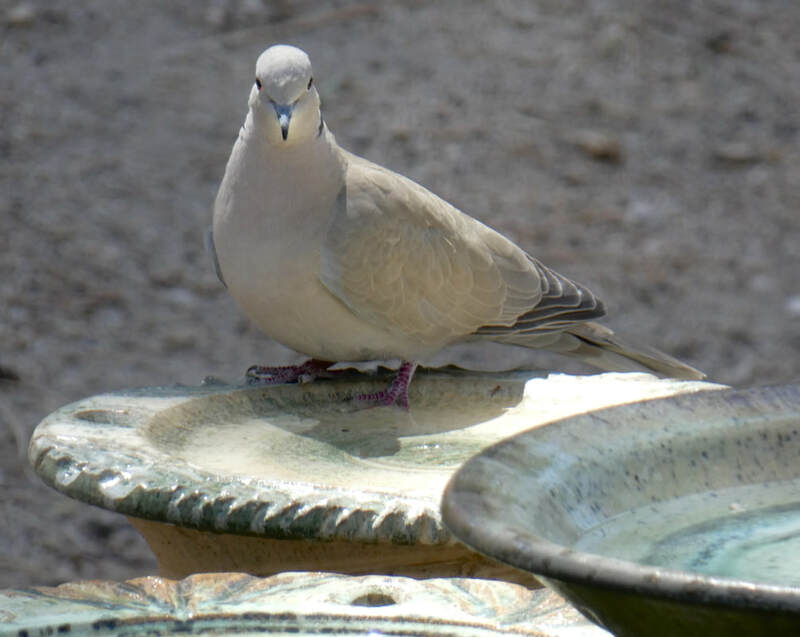 Many of our baths feature unglazed bird-grippable lips for even the tiniest of talons. 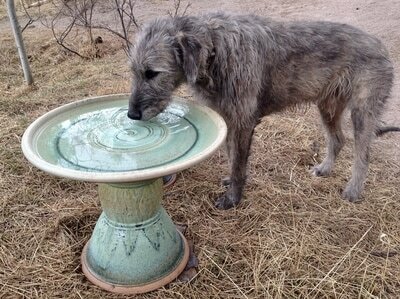 Some even sport a raised center island for comfortable wading of smaller species. All Dirty Bird Bird Baths are quite shallow, and have been product tested in our own woods, receiving the beak of approval from crows and magpies to nuthatches and finches. 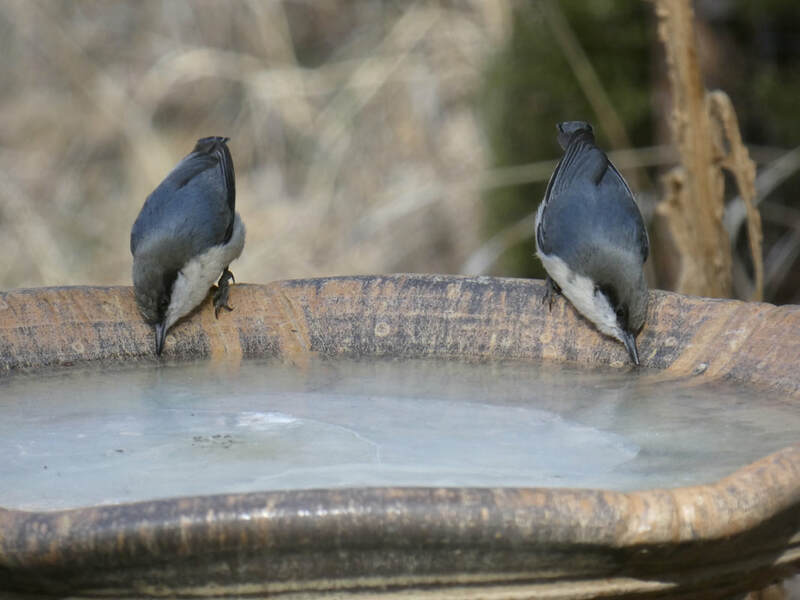 We have found that having a variety of heights and widths available in our garden has attracted a huge variety of wild birds. 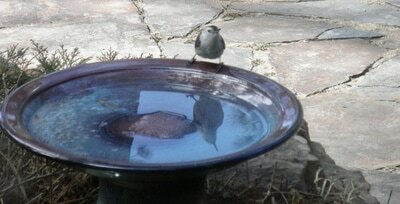 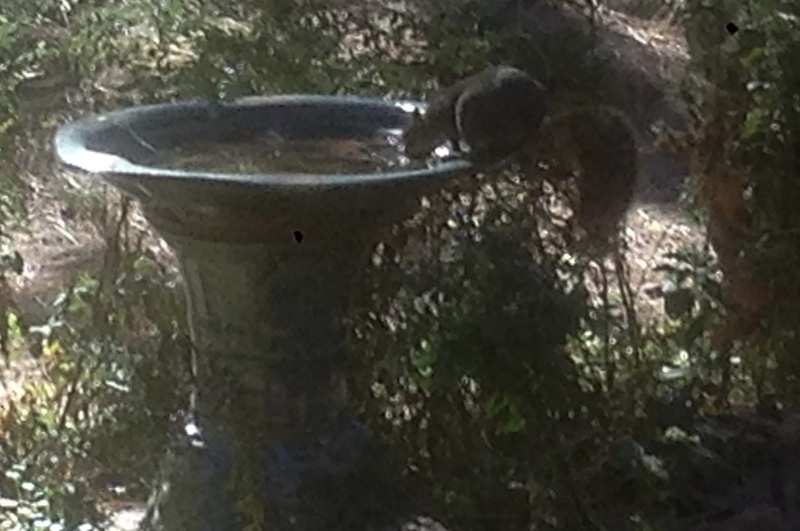 Since we have been placing bird baths in our yard, our bird watching has increased exponentially! 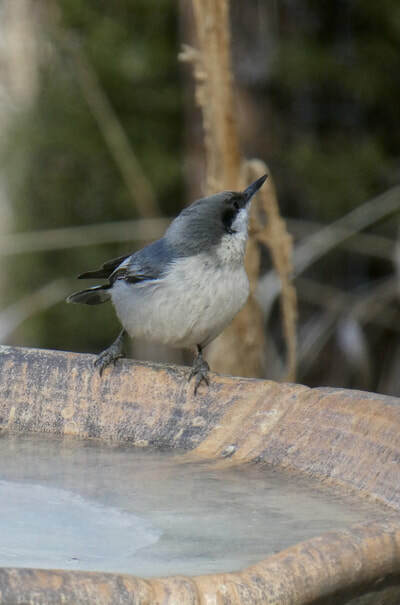 Some birds, like bluebirds and robins, only eat bugs and couldn't care less about the seeds we offer, but at the birdbaths entire flocks gather to party! 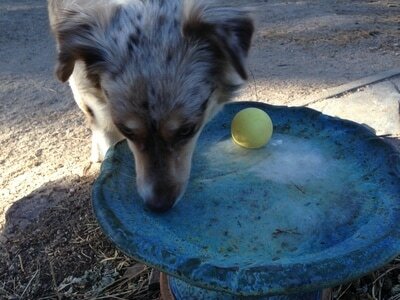 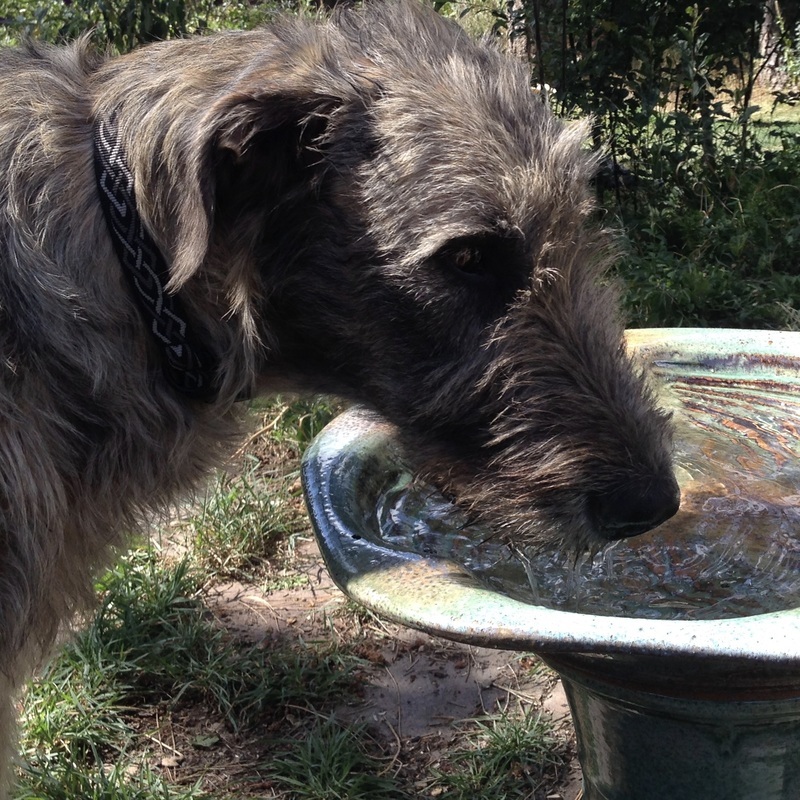 On a purely family level, our dogs love the many options for a fresh sip of water after a rowdy play session in the yard. It is very important to keep your bird bath water clean for the health and enjoyment of your wild birds. 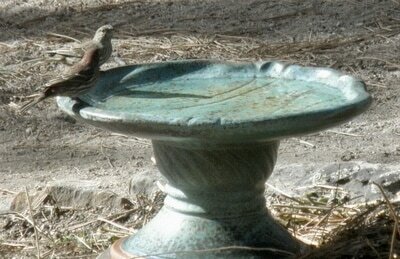 Dirty Bird Bird Baths are designed to require minimal maintenance. 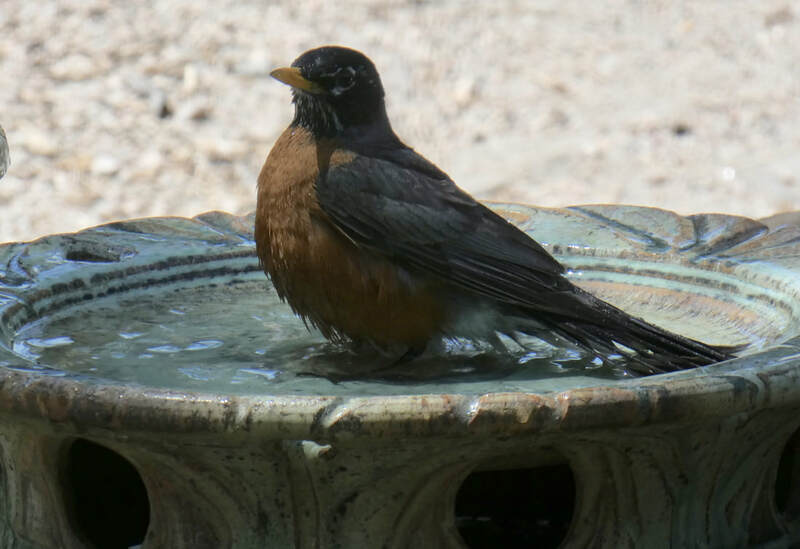 A daily squirt with a hose, and maybe an occasional cleaning with a scrub brush are all that will be needed to give your birds their dream spa experience. We would love to have photos of your birds experiencing birdie-heaven. 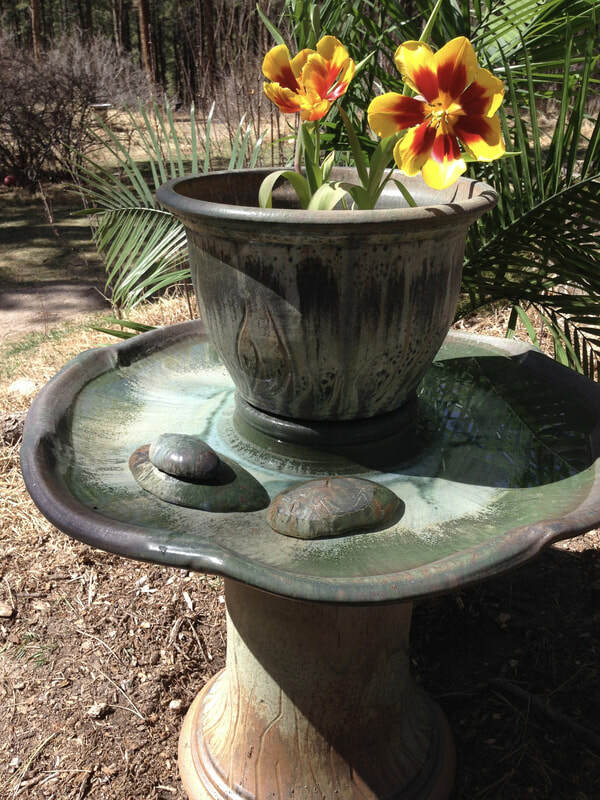 Email us some pictures and we'll include them on our website! 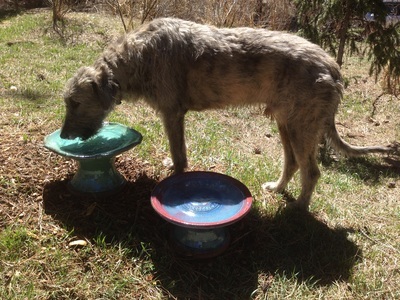 Pictures of any Dirty Bird Bird Bath visitors are eligible... moose, ducks, chickens, turkeys, eagles, dogs, cats, deer, bees, goats, squirrels, foxes, mountain lions (be careful!)... the more the merrier!